The Facebook sign in procedure is relatively straightforward. However, from time to time, some people do experience problems. There are several reasons why you might have a problem logging into Facebook. Even the tiniest of mistakes can result in login failure, but suitable solutions are equally accessible. Entering the wrong email address or password will cause a login failure. A spelling mistake or typing error will mean that the system fails to recognize you. Solution: Retype this information to check whether the problem is due to the wrong information or something else. You also should manually retype in the login and password information if you are using the cut-and-paste function. This makes sure the information is entered correctly. Remember that the login information is case sensitive; check that the caps lock key on the keyboard is not enabled. Tip: Use the "Remember Me" button on Facebook to store your information if your computer is private. Do not, however, do this on a shared or public computer, as it might give other people access to your account. 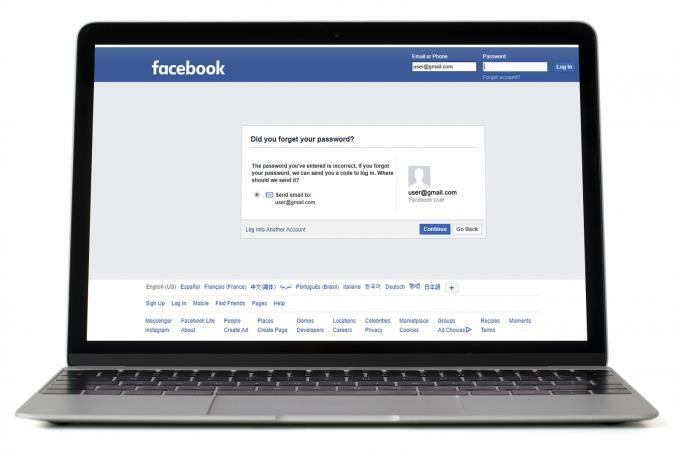 Both your email address and password are needed to log into Facebook. It is impossible to log into the system without one or both of these pieces of information as Facebook will not recognize you. Solution: If you do forget your email address or password, then help is at hand. The Facebook Help pages will walk you through the process of getting this information. It is good practice to change passwords regularly, and Facebook also gives detailed instructions on how to do this. Facebook can also help you recover your account using the email or phone number attached to your account. If you have completely forgotten your email and phone number associated with the account, select the "I forgot my account" option on the next page. Tip: If you are expecting an email from Facebook, check your spam filter and junk mail folder in case the message gets delivered there instead of your main inbox. Facebook does not allow generic email accounts. For example, an email address starting "info@" cannot be used for a Facebook account. Generic email addresses and some business addresses may be seen by the system as spam. If so, the system will block your entry and you will not be able to register for an account. Solution: Make sure you are using an allowable email address. Facebook encourages users to use a personal email address whenever possible. Tip: If your "real" email address is generic, open a new Gmail or Yahoo! email account to use for your Facebook registration. Another common problem is that the Login page doesn't load or refresh properly. This could be due to cookies not being activated on your computer. Solution: Each browser has different instructions on how to set cookies. Instructions for some of the more popular web browsers are provided through the following links. Tip: You may also need to clear your browser cache. A "cache" is something your browser creates where it "holds" the data from pages you've visited. This allows pages to load much more quickly. However, it also can mean if there were changes to a page since you visited it, your browser may show you the old version instead of the most recent one. In most browsers, you can clear the cache by visiting the Settings or Tools tab. You registered your Facebook account on your cell phone and you are unable to log into Facebook from your computer. Solution: Use your cell phone number rather than an email address to log in. Once you've logged in, you can change your login information to whatever you'd like. Tip: It's a good idea to connect your Facebook account with both an email address and a phone number. This will also make it easier to recover your account if it gets compromised or if you forget your login information. Facebook offers a lot of help to users. There is a comprehensive Help Center with detailed advice and tips for users who are experiencing login or other problems. The Help Center breaks all the problems and issues down by type, which makes navigating these pages a relatively straightforward task. Use the search bar at the top of the page to find the solution you need. Frequently, Facebook also posts system-wide problems to its Known Issues page. Check here if you are getting a login problem that you can't find a solution for easily; it may be a temporary problem that is already being addressed. 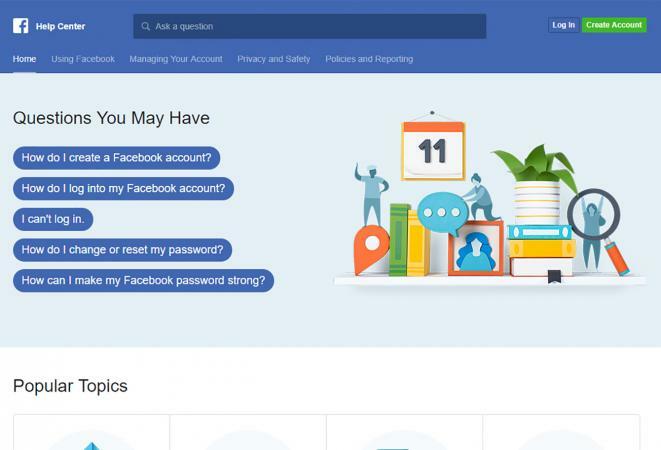 If you are still experiencing login problems and have examined all the possible causes, then Facebook has a Help Community forum where you can post your issue and get feedback from other users and members of the Facebook Help Team. If you are having difficulty logging into Facebook, and it seems to be a new or unknown error, make sure to report your error. Solutions can only be found if the problem is acknowledged, so be sure to file an error report each time you encounter a problem.